Up early reading blogs this morning and drinking an unreasonable amount of coffee. Thank you to all for your congratulations on the new house. We are so excited. I'm having a hard time thinking about anything else...my reading has come to a complete halt! I'm glad to have something to distract me all day today and tomorrow...weekend workshop with Christina Sell at Yoga East. I've been looking forward to this one, especially because it is a workshop for deepening one's practice. While I enjoy my teacher trainings in Asheville, they are focused, naturally, on how to become a better yoga teacher, not necessarily a more thoughtful practitioner. Since the majority of my personal practice is done alone, I relish the opportunity to be with others, get feedback, and learn new tricks. 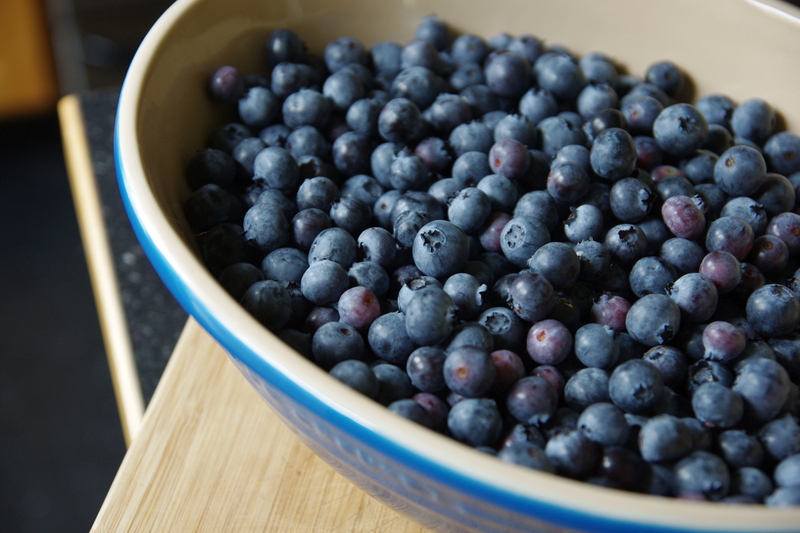 Oh and see that gorgeous, full bowl of blueberries? I picked them on Monday and they were gone, gone, gone by mid-week. So good. If you're a local reader, I encourage you to get over to Bryant's and pick a gallon...we picked in rows 55-60 and they were delicious.